Undoing racial gerrymandering makes electoral districts more accurately reflect preference of Virginia's voters. "And That's Unfair! ", the GOP Cried. The House chambers were packed yesterday during our futile special session to follow a court order to draw a constitutional House of Delegates district map. But Republicans did not cooperate. In stark realization that representative democracy in Virginia devastates Republican chances at the polls, Republicans in the Virginia House of Delegates made clear on Thursday they will only support undoing their unconstitutional "Black-packing" racial gerrymandering scheme if it can be undone while preserving the rest of their political gerrymandering, so as to virtually ensure their permanent minority rule in our increasingly blue Commonwealth. On June 26, a federal court ordered the Virginia General Assembly to redraw the district lines for the House of Delegates so as to undo the unconstitutional, racial gerrymander imposed by Republicans on the Commonwealth in 2011. The Court set a deadline of October 30, 2018 to accomplish this. 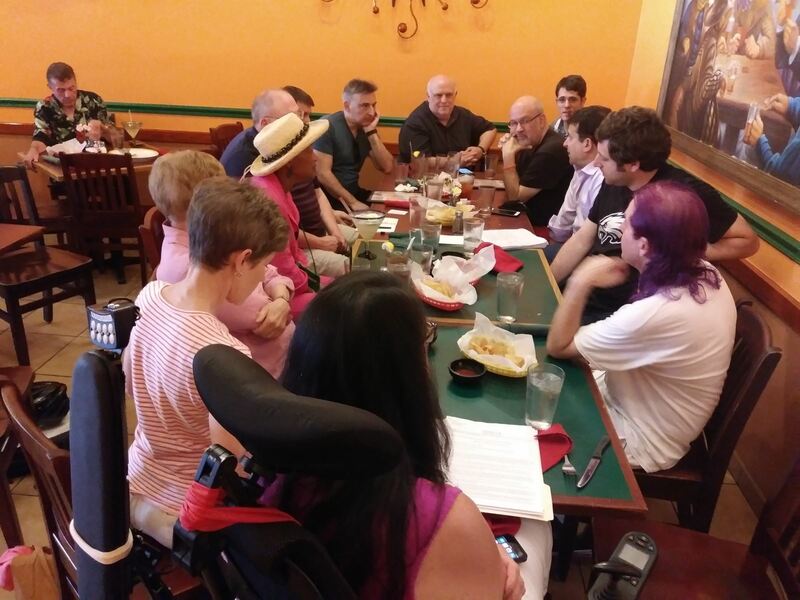 We Democrats then twice formally asked the Republicans to work with us to design a map. The Court formally requested the Republicans do so well. The Republican response for two months was...silence. 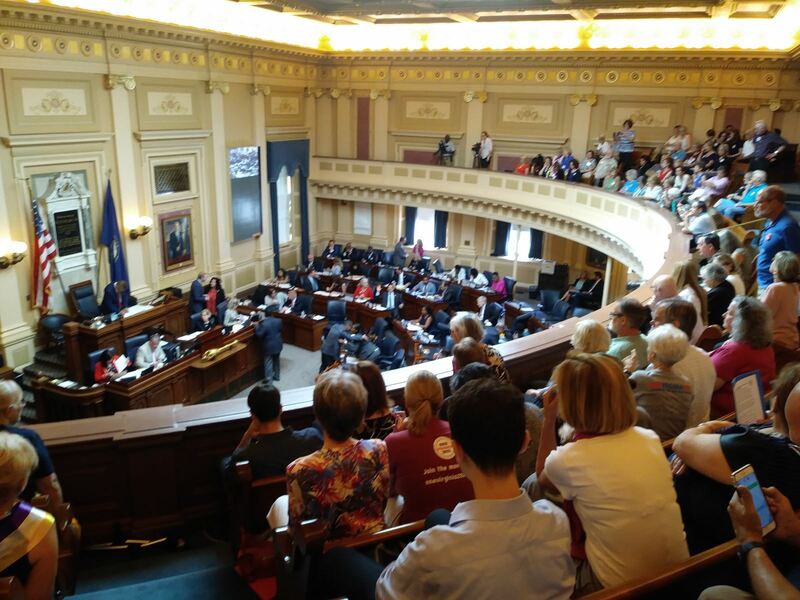 So last Thursday (August 30), with just two months to go before the court-imposed deadline, Governor Ralph Northam called the Virginia General Assembly together for a special session to comply with the court order. -- versus barely 1.075 million for the Republicans --our map more accurately represents the voting wishes of the people of Virginia. Republicans were incensed. They accurately pointed out that our map, by making districts more accurately reflect Virginia voters, made it too fair for them to compete. 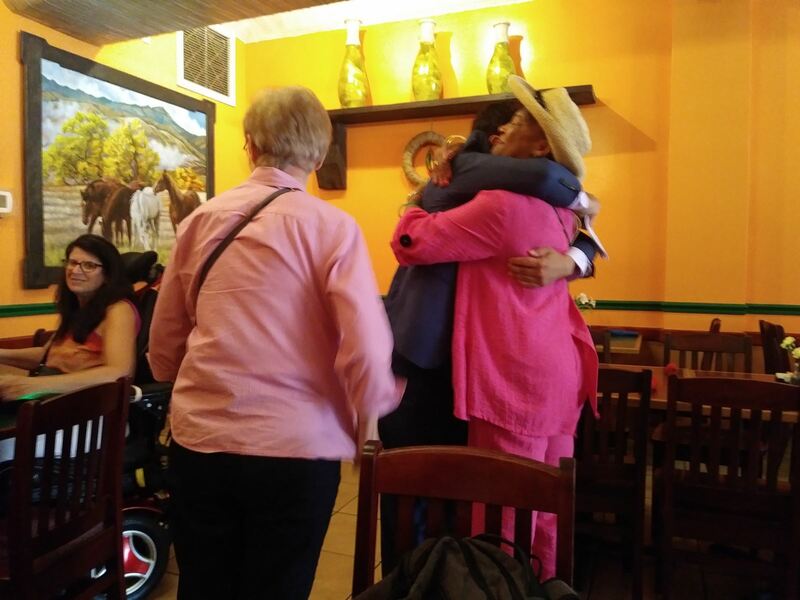 If you stop the gerrymander, they cried, there will be more Democrats in competitive districts! And because Virginia voters strongly prefer Democrats, we might lose control! They asked us to work with them on a map that both complied with the court order (by undoing the racial gerrymander) but also preserved the political gerrymander they had carefully engineered to ensure Republican rule even when losing elections like 2017 by more than 20% of the vote. We gamely asked them to show us their map. For more than two months, they have thus far refused. But in reality, we don't know how you can unpack the Republican racial gerrymander and preserve the Republican political gerrymander. Frankly, it's really hard to draw fair district lines on a racial basis and still preserve the unfair political lines which allows the Republican Party -- a party with so little support in Virginia that they haven't won a single statewide election in almost a decade -- to maintain its political supremacy in the state legislature. Bottom Line: We are at an impasse! Republicans adjourned on a party-line vote. and meet again in two weeks. The Republicans chose not to set a date to come back. Every Democrat opposed the motion to adjourn. Since 2002, Democrats have put forward 87 proposals to have legislative districts drawn by a non-partisan independent commission. (We haven't counted back to 1982, when Democratic Delegate Ken Plum first proposed such a plan 36 years ago.) Republicans have rejected every single plan. Allow all Virginians a say in who their elected representatives are, rather than have the politicians choose the voters. 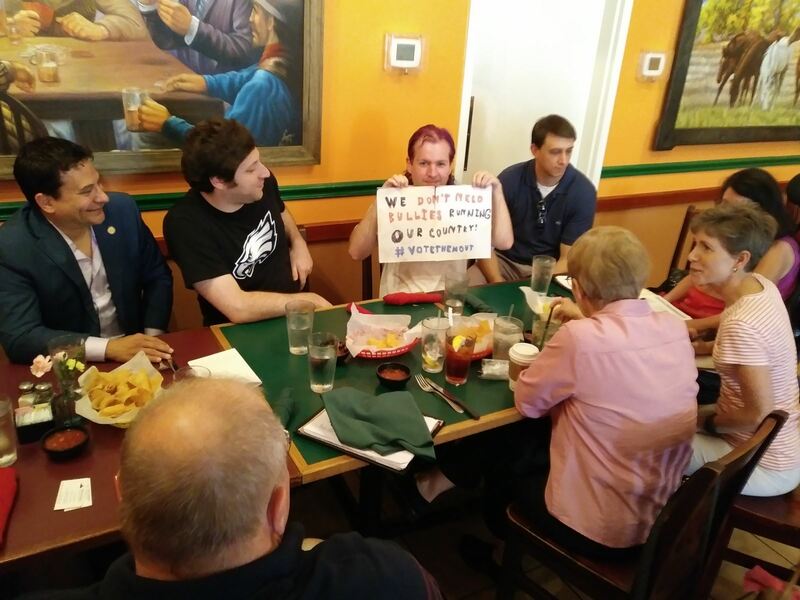 Be fair to Virginia minorities. Act quickly, accurately, and constitutionally. Our plan was not only constitutional; it reduced split precincts by 2/3, and it allowed a population deviation between districts of no more than about 1%. Insist on Republican Minority Rule in Virginia. Insist on keeping Virginia unconstitutionally racially gerrymandered. Appeal to a US Supreme Court that has already ruled their districts are illegal and unconstitutional. As outgoing Republican Delegate Greg Habeeb put it: "Again what the citizens have to remember is we've lived with these lines for 8 years. There's only 2 more years until they have to be done anyway." That's kind of like a thief who successfully stole $8 million from a $10 million bank account arguing that he should get to steal the remaining $2 million, because he got away with an $8 million heist so far. Within an hour of the Republican obstruction, the three-judge panel unanimously refused the Republican request to stay their order pending appeal to the US Supreme Court. The order stands. And if the Republicans continue to obstruct, delay, and deny, I'm confident the Court will draw the lines for us. Ultimately, elected officials must be taken completely out of the redistricting process. I believe we must amend the Virginia Constitution to require an independent, non-partisan commission to draw all our district maps for both state and federal elections. The partisan division of districts should reflect the overall partisan divisions of the Commonwealth. 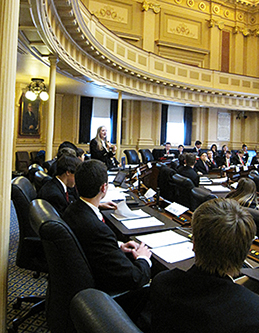 Important note on applications: a letter of endorsement by the applicant's Delegate is required for their application to be considered for the House of Delegates page program. I will happily write endorsement letters for al youth from the 45th District who qualify and are interested in taking part in this wonderful program. Please send endorsement letter requests to DelMLevine@house.virginia.gov. Governor Northam at the Bloom's groundbreaking. 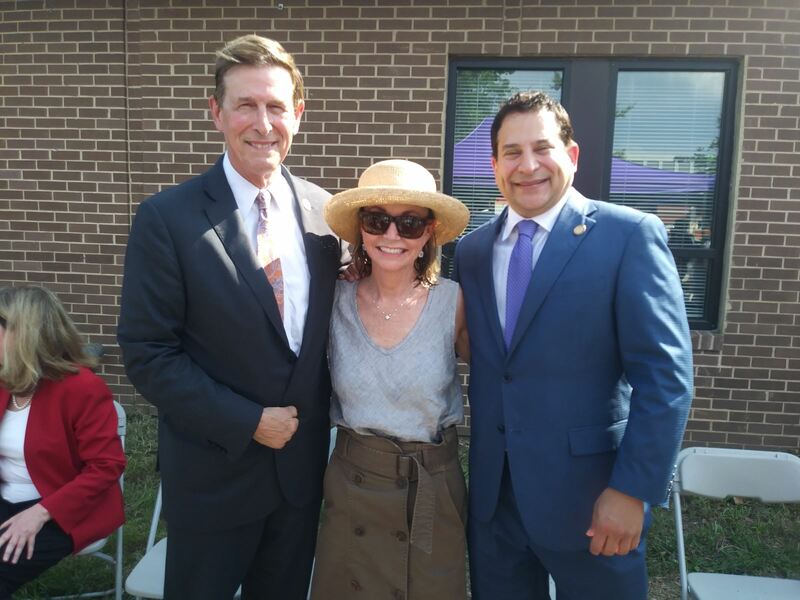 On Wednesday, August 29, I had the honor of attending the groundbreaking for The Bloom in North Old Town, the result of a partnership between the Alexandria Housing Development Corporation (AHDC) and Carpenter’s Shelter. 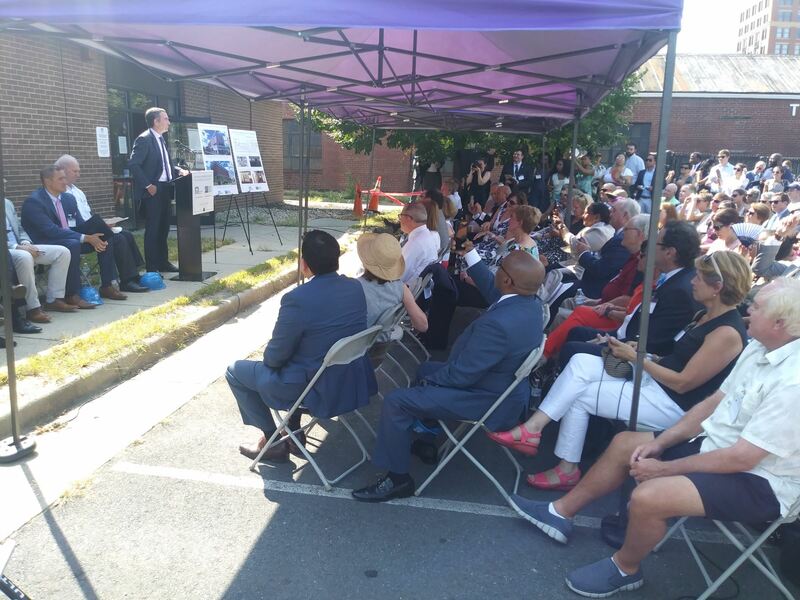 The project will add 97 new units of affordable housing to the Braddock Road neighborhood, in addition to creating a purpose-built shelter for Carpenter’s, with many shared amenities such as a playground, produce garden, and underground parking. Ten of the units will also be permanent supportive housing units for former Carpenter’s residents who will continue to receive comprehensive mental-health services. You can learn more about the project at AHDC's website. In an effort to better communicate with all of my constituents, I am updating my Twitter page more frequently. 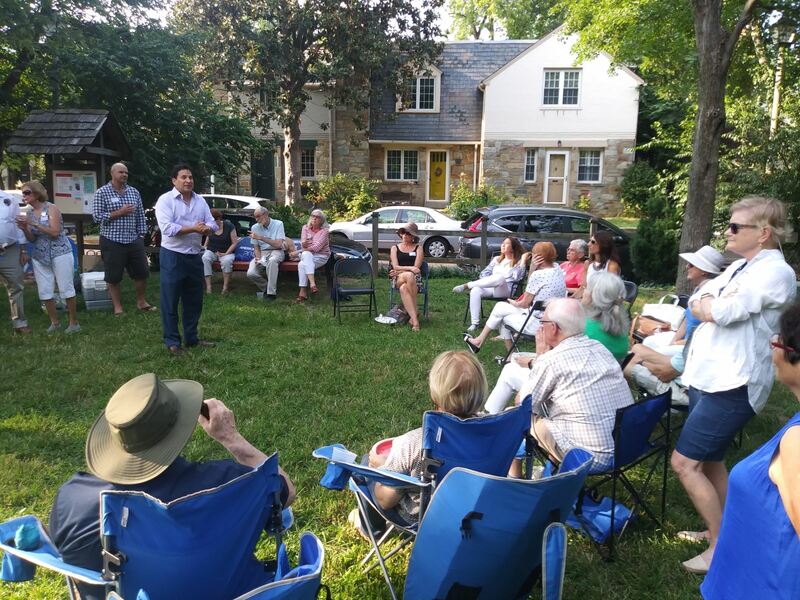 Please follow me by clicking here: @DelegateMark. 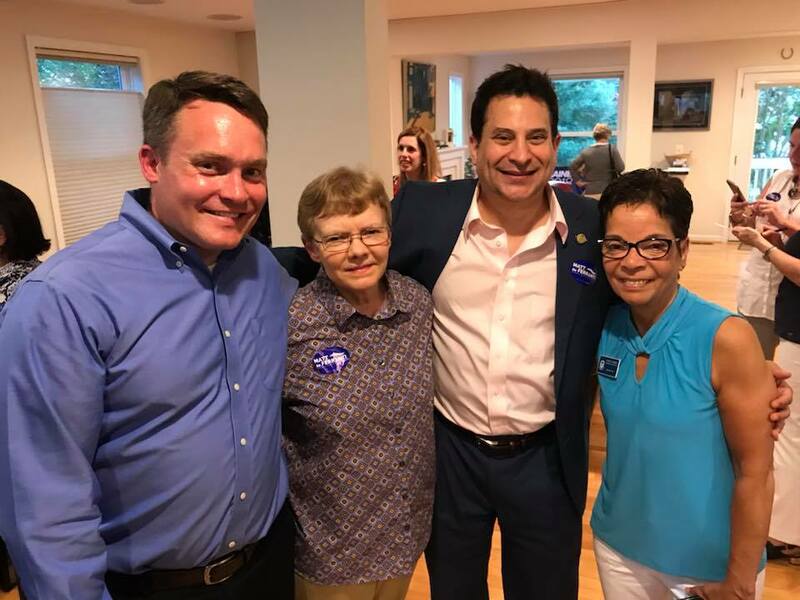 Happy to endorse Matt de Ferranti for Arlington County Board. Ingrid Morroy, right, hosted a great event. And Sue Carruthers is at everything, it seems! at the groundbreaking for The Bloom and Carpenter's Shelter. 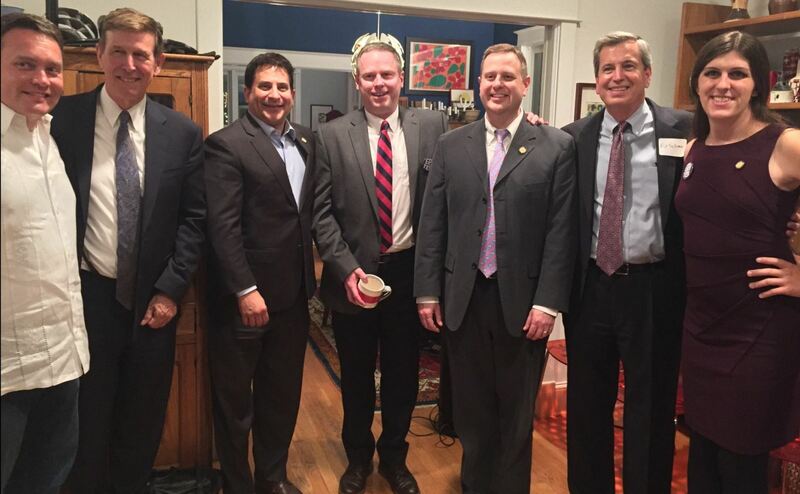 joining with Matt de Ferranti, Rep. Don Beyer, and Dels. Patrick Hope, Rip Sullivan, & Danica Roem.